April 18, 2017m ATLANTA, GA — The 2017 Jury of Fellows of the American Institute of Architects (AIA) has elected Leslie Gartner, a senior vice president at WSP | Parsons Brinckerhoff, to its prestigious College of Fellows. The AIA Fellows designation honors architects who have made significant contributions to architecture and society, and have achieved a high standard of excellence in the profession. The newly elected Fellows will be honored at an investiture ceremony in late April at the 2017 AIA Conference. 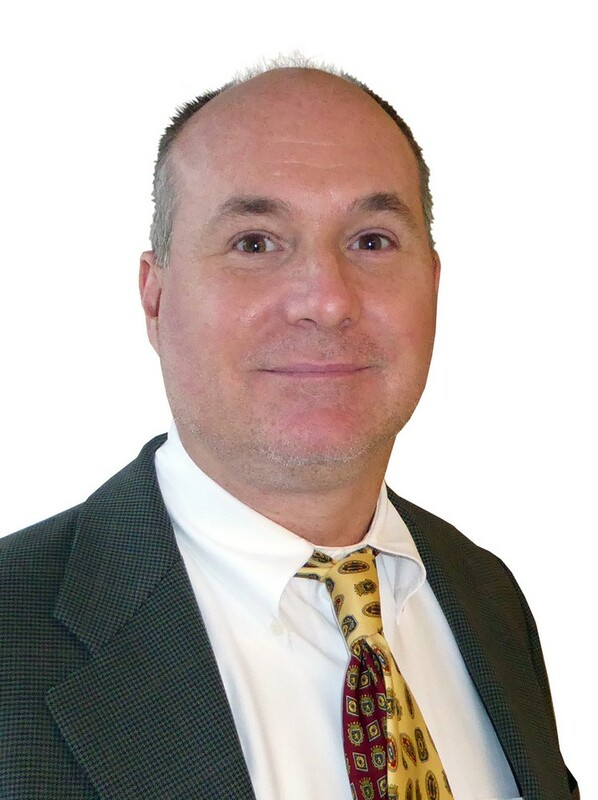 Mr. Gartner is the national director for WSP | Parsons Brinckerhoff’s science + technology group in the United States. He has extensive experience with high containment research laboratory design, project management, costing and programming, including special requirements for national clients such as National Institutes of Health, Centers for Disease Control and Prevention, DARPA and USAMRIID and research universities. The principles of science and health protection have been central to his design of BSL-4 facilities for the Centers for Disease Control and Protection, the National Institutes of Health, the Department of Homeland Security, and the Department of Defense in every region of the U.S. The firm’s lab design and planning team, part of the science and technology sector, collaborates with architects and clients to focus on the functional organization of facilities, planning of laboratory spaces and provision of unique technical solutions involving containment and equipment. Mr. Gartner received a master of science degree in architecture and a bachelor of science in environmental studies from the University of Manitoba. In addition to the AIA, he is active in the American Biological Safety Association, Royal Institute of British Architects, American Association for Laboratory Animal Science, National Council of Architectural Registration Boards, and National Environmental Health Association. ORLANDO, FL – Experts from WSP | Parsons Brinckerhoff will offer presentations on innovative building systems as part of the 2017 AIA National Conference on Architecture being held on April 27-29 in Orlando, Florida. Paul Corrado, senior vice president, will address “Problem-Solving Collaboration: National Museum of African American History and Culture” on Thursday, April 27th from 2:00 pm to 3:30 pm. The presentation will discuss project takeaways of interest to the AIA audience, including design of column-free space, providing environmental solutions for responsible management of water, and designing the sustainable museum. Tom Marseille, senior vice president and director of sustainability at WSP | Parsons Brinckerhoff and Charles Chaloeicheep, senior associate, will lead a panel discussion on “District Thinking….and Doing…as a Path to Net Zero,” on Friday, April 28th from 7:00 am to 8:00 am. The panel will address the potential for delivering the next generation of high performance buildings by breaking through traditional project delivery paradigms to consider new synergies within an urban core, and how to understand and navigate the environmental economic, and socio-political aspects associated with leveraging non-traditional energy and water “districts,” to harvest what would otherwise be wasted resources. Sarah Kuchera, senior vice president, will address “Target Value Design: Working with Partners and Delivering More Value,” on Saturday, April 29th from 2:30 pm to 3:30 pm. The session will focus on how target value design, an innovative approach to design featuring prototyping, open sets, continuous estimating, and a collaborative environment, that allows team members to deliver more value to clients than on a traditional project. NEW YORK, NY — Gregory A. Kelly, president and chief executive officer of the U.S. and Latin America region of WSP | Parsons Brinckerhoff, has received the 2017 Foundation Award from the Beverly Willis Architectural Foundation (BWAF). Mr. Kelly oversees a workforce nearly 8,000 employees in the U.S. and Latin America that generates $1.7 billion in annual revenue in such markets as buildings, transportation, energy, water, and environment. In addition, he is a member of WSP | Parsons Brinckerhoff’s global leadership team, responsible for operations, policy and direction for an engineering and professional services organization of 36,700 employees in more than 500 offices in 40 countries. During his tenure he has emphasized a commitment to diversity and the promotion of women to key leadership positions in the firm. Under Mr. Kelly’s direction, WSP | Parsons Brinckerhoff has significant roles on major projects throughout the U.S. and Latin America, including One World Trade Center, 432 Park Avenue, and the La Guardia Airport Central Terminal in New York City; the National Museum of African American History and Culture in Washington, D.C.; the 30th Street Station master plan in Philadelphia; Levi’s Stadium in Santa Clara, California; and Salesforce Tower, the Transbay Transit Center and 181 Fremont in San Francisco. Active in the infrastructure services industry, Mr. Kelly frequently speaks on engineering and construction issues and participates on the executive boards of many leading industry organizations. Mr. Kelly was elected to the National Academy of Construction in 2014. He is on the executive committee of the Design Professionals Coalition and is a member of the board of the Association for the Improvement of Americas Infrastructure. Mr. Kelly has served as a member of the civil engineering advisory board of the Polytechnic Institute at New York University and the civil engineering and environmental advisory committee of the New Jersey Institute of Technology. Giving back to the community is vital to Mr. Kelly. He chairs the Salvadori Center, a non-profit focused on innovative Science, Technology, Engineering and Math (STEM) based programs in the New York City Schools. He is also the co-chair of the New York City March of Dimes Transportation and Construction Luncheon. He has a B.S. degree in civil engineering and construction technology from Temple University and an M.S. degree in civil engineering from the New Jersey Institute of Technology. He is a registered professional engineer in several states. NEW YORK, NY, January 12, 2017 – WSP | Parsons Brinckerhoff, a global engineering and professional services consulting firm, will assume the WSP name effective May 2017. The firm has operated as WSP | Parsons Brinckerhoff since the acquisition of Parsons Brinckerhoff by WSP in October 2014. The firm will continue operating as WSP | Parsons Brinckerhoff until May 2017. The U.S. and Latin America region of the firm comprises approximately 8,000 employees in more than 100 offices working on hundreds of projects. Our Vision Design team has won another commendation at the IES Lighting Design Awards. This award recognises the innovative, student-centric lighting at the Flinders University Student Hub and Plaza in South Australia. 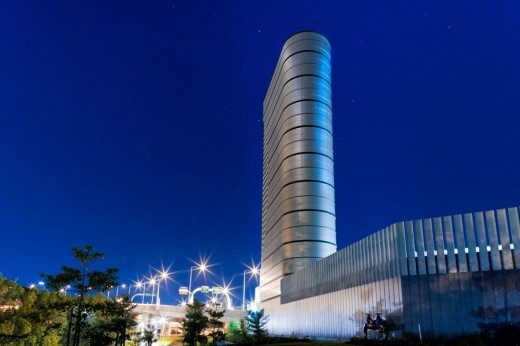 The Vision Design team at WSP | Parsons Brinckerhoff has won a commendation at the Lighting Design Awards (LiDA) in New South Wales for its work on the new, seven-storey, Newcastle Courthouse. According to Senior Lighting Designer, Fiona Venn, the team, alongside Cox Richardson Architects and the John Holland Group as building contractor, responded to a clear Department of Justice brief to create an open, accessible and welcoming atmosphere. ‘The Courthouse building is set on a podium wrapped around a main intersection in the heart of Newcastle’s CBD. ‘Our exterior lighting showcases the building’s large expanse of glass and wood and highlights its preeminent position in the city. ‘The interior includes ten courtrooms, two tribunal rooms and public areas that sit alongside a central atrium that is flooded with natural light. ‘Our design objective was to define the internal spaces according to access and use. The temperature of the artificial lighting in the public, front-of-house space is a warm white to provide a welcome, calming atmosphere. ‘Cooler, more neutral lighting, is used in offices and functional areas which also helps people find their way. ‘Decorative pendants and wall lights provide sparkle while washes of warm white light highlight timber finishes to link the interior to the exterior. ‘Delivered within budget, this building is also supported by an energy-efficient and user-friendly control system but I believe its merit lies in how well it merges creativity with form and function,’ Ms Venn concluded. MIAMI, FL — Eduardo Martinez has been appointed senior vice president and managing director of the Miami buildings practice at WSP | Parsons Brinckerhoff, a global engineering and professional services organization. WSP | Parsons Brinckerhoff’s Miami buildings practice offers comprehensive integrated building engineering services addressing mechanical/electrical/ plumbing (MEP), and structures design as well as an array of specialist building consulting services. The firm recently completed the MEP design for University of Miami Frost Music Studios and has performed structural design on 10 Museum Park and the Adrienne Arsht Center for Performing Arts. Mr. Martinez has over 40 years of experience as a senior engineering manager and project manager for a wide range of projects, both at the national and international levels. Prior to joining WSP | Parsons Brinckerhoff, he spent 30 years in New York City as executive vice president, serving as managing principal for a 60-person MEP studio. In that capacity he led teams of engineers to design MEP systems for multiple large-scale mixed-use developments and cultural facilities in the USA, Mexico, Europe, the Middle East, Russia and Korea, most notably including Torre Mayor in Mexico City and the Guggenheim Museum in Bilbao. He recently completed Brickell Center in Miami, FL, a mixed-used facility of over 2 million square feet, and the design development phase for a 60 story office tower on Reforma in Mexico City. A licensed professional engineer, he is also a LEED AP and a member of the Institute of Electronic Electrical Engineers, the National Society of Professional Engineers, and the National Fire Protection Association. NEW YORK, NY, September 23, 2016 — Tim Lehotsky will lead the New York building technology systems group as a new vice president at WSP | Parsons Brinckerhoff, a global engineering and professional services organization. 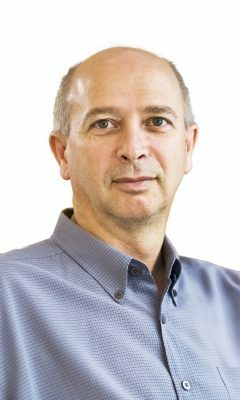 Mr. Lehotsky has over 25 years of experience in information technology, with 15 years in IT Infrastructure design and project management. His areas of expertise include design and project management of multiple IT systems, including infrastructure, security, audiovisual, and data center, for mission critical facilities, institutions, hospitals, government facilities, and commercial buildings. Prior to joining WSP | Parsons Brinckerhoff, he was an associate principal with a New York technology and acoustical consulting firm. Mr. Lehotsky attended Manhattan College, studying electrical engineering. His professional affiliations include a member of BICSI, ASHRAE, and a provisional member of the ASHRAE TC 9.9 Committee. WSP | Parsons Brinckerhoff’s New York buildings group offers complete services in structural, mechanical, electrical, plumbing and fire protection engineering; architectural lighting design; building technology; high performance design by Built Ecology; and commissioning. Some of the firm’s recent projects in New York City include 432 Park Avenue, 53W53, and30 Park Place. This award is assessed on innovative practices, use of new technologies and impact on workforce, community and environment. WSP | Parsons Brinckerhoff has recently appointed Glenn Fyvie as Director for Building Structures, New South Wales. Glenn Fyvie joins the existing Sydney-based Director, Graeme Deaker, to support strategic growth. With more than 25 years’ experience as a design consultant in the construction industry, Glenn brings a wealth of local, national and international experience to the team. Executive Chairman WSP Structures, Kevin Winward, highlighted how Glenn’s experience in local and international business development and his industry intelligence will support the building structures team during a period of significant growth. “We are confident that Glenn will support our current growth ambitions and strengthen our client offering. “He has delivered exceptional project results for a broad spectrum of clients including his work on the US$4.0 Billion Wynn Place 2000 key hotel in Macau and more locally, on the Frasers Broadway Development – a five residential tower complex in Sydney,’ concluded Kevin. Glenn Fyvie is based in the North Sydney office. As the Project Management Contractor for the Roy Hill Project, WSP | Parsons Brinckerhoff is proud to see the team receive the Project Management Institute (PMI) Project of The Year Award 2016. This is the second award this month for the Roy Hill team, which also won the 2016 Railway Technical Society of Australasia Railway Project Award. Parsons Brinckerhoff is proud to have collaborated on two projects recognised at the 2016 National Infrastructure Awards hosted by Infrastructure Partnerships Australia (IPA) this week. 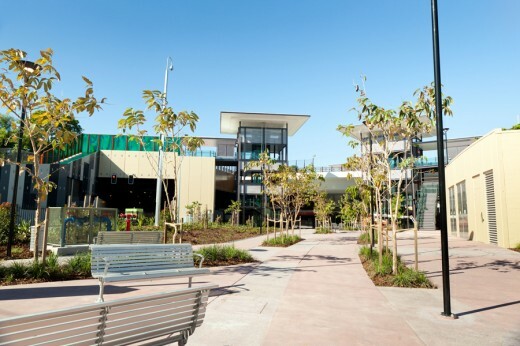 Barangaroo Reserve in Sydney took out the Australian Infrastructure Project of the Year while the New Generation Rollingstock project in Queensland won the SMART Infrastructure Project award. ‘The Infrastructure Project of the Year award traditionally falls to mega-projects such as tunnels or ports so it is particularly special to see Barangaroo Reserve recognised. ‘Barangaroo Reserve exemplifies all that is best about future-focused, sustainable urban design – it is an engineering feat with strong community support. ‘We have been involved in this project since the planning phase in 2000 and were instrumental in securing the first carbon-neutral lease clause in the Australian real estate market through our advisory work with the Barangaroo Delivery Authority. ‘The project has been welcomed from a community and civic perspective and we are delighted to see it gain further national recognition,’ Mr Mather said. The SMART Infrastructure Project Award went to the New Generation Rollingstock project. Mr Mather explained this project involved the delivery of 75 six-car trains for the South East Queensland passenger rail network and the construction of a state-of-the-art purpose-built maintenance centre at Wulkuraka, Ipswich. 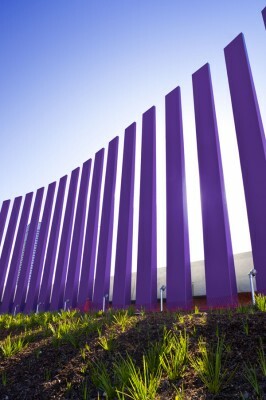 ‘Our team’s technical advice and cross-discipline review for the Queensland Government (Department of Transport & Main Roads) led directly to the SMART design technology used on the project. ‘The substantive use of BIM technology allowed for the creation and sharing of accurate project information. ‘This was the first time it has been deployed so extensively for a project of this size and scope for the Queensland Department of Transport and Main Roads. ‘The project represents a significant transport infrastructure investment that supports the Government’s long–term commitment to public transport,’ Mr Mather said. The Barangaroo Reserve project team comprised: the Barangaroo Delivery Authority, Lendlease, Advisian, Aurecon and WSP | Parsons Brinckerhoff. The New Generation Rollingstock project comprised: Bombardier, Laing O’Rourke, Queensland Department of Transport and Main Roads and WSP | Parsons Brinckerhoff. 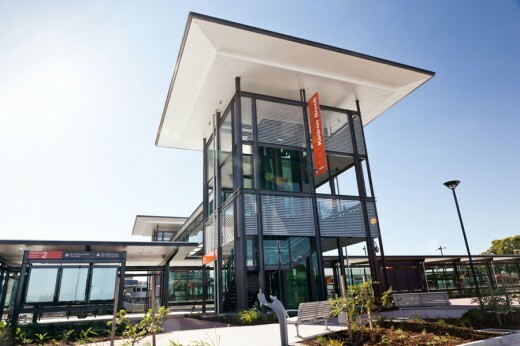 10 + 9 Dec 2013 – Airport Link has won the 2013 Consult Australia Award for Excellence in Safety in Design, to round-off the project’s award-winning year. Parsons Brinckerhoff and Arup Joint Venture (PBA) delivered the design contract for the $5.6bn project. The statistics speak for themselves in describing magnitude and complexity of Airport Link and this award recognises the team’s commitment to ensuring safety in its design.